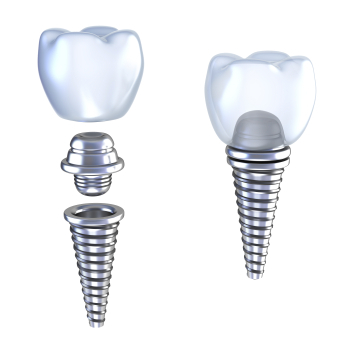 Getting dental implants is often considered a life-improving event. It allows people with missing teeth to regain their quality of life in ways they did not expect. However, that does not mean that taking care of your mouth is done just because you have teeth that are not going to degrade as easily. Instead, it often means taking better care of your mouth. Taking care of your gums is especially important when you have dental implants. Otherwise, you can struggle with gum recession, which can expose your implant posts. When you have dental implants, you still need to follow your normal oral hygiene routine. This means brushing each morning and each night. Plus, flossing your teeth once a day and rinsing your mouth out with a high-quality mouthwash. This will help prevent things like gum disease. However, if you develop it anyway, you need to make sure that you get your gum disease treated so that you can keep your implants strongly in place. This usually involves coming in to see us and working with us to develop the most comprehensive treatment plan we can for your mouth. We will go through and make sure that we clean out any existing bacteria from your mouth, and we will work with you to make sure that your gums stay healthy around your implant posts. If these tissues do not stay healthy, you can lose your implants, and go back to the quality of life you had prior to getting implants in the first place. Make sure you do everything you can to help keep your mouth healthy when you have dental implants. It is the only way to keep the safely and securely in your mouth for the foreseeable future.